Chef Antonio’s appetite was enormous when he was young, and remains so today! The catch now is that it has to be perfectly prepared. Some years ago, he was so enamoured with the steak Morton’s was serving that he ordered and finished 2 kg of it. There is Polaroid proof of this incident. Chef Roberto does not remember a time when he didn’t enjoy food. From choosing the freshest produce to preparing it to actually eating it, cooking and eating in all its glorious forms were and remain some of his greatest pleasures. Becoming a chef seemed quite natural and inevitable! An inherent curiosity led him to work all over Italy before he landed a job as a personal chef on a luxury yacht so that he could see the world. It was on this yacht that chef Roberto had his first glimpse of Asia. Serendipitously the yacht broke down and docked in Singapore for repairs. It took months, so he took the chance to explore and, in true Italian form, he fell in love and stayed for that love. 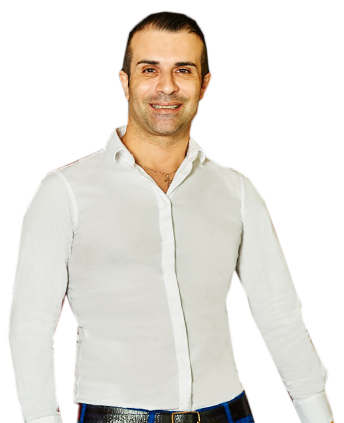 His professional experience in Singapore includes being executive chef for the Da Paolo Group in Singapore as well as founding and running Galbiati Gourmet Deli for 10 years. If you ask Chef Antonio how his interest in food began, you get a funny little story about his enormous teenage appetite. In fact, as a teenager, he wanted to eat more or less constantly. He claims he had to learn how to cook because otherwise he was spending all his pocket money on food! To his surprise, he discovered a talent he didn’t actually know he had. Just like that, a passion for eating transformed into a passion for cooking. In Italy, he worked in 4- and 5-star hotel chains as well as standalone trattorias but restless feet led him wandering over the world until they landed in Singapore. 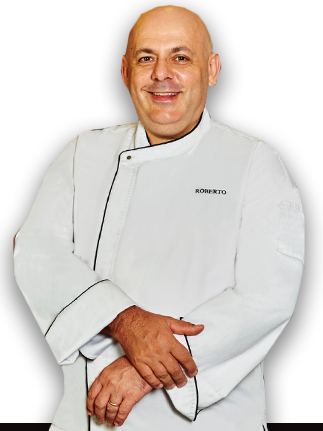 Chef Antonio’s Singapore story begins in 2002 as owner and chef of fine dining restaurant Fuenti. He still enjoyed cooking but he wasn’t too sure about administrative work. Missing the creative, wholly food-centred atmosphere of the kitchen, he made a surprising decision to give up his ownership in Fuenti to become the head chef of as-yet unopened Da Paolo Pizza Bar. His last ventures before Acqua e Farina were the uber-popular Bella Pizza and Bella Pasta, which he personally operated for several uninterrupted years before he finally felt the need to take a long break.